AppCenter is empty in this release and it is not safe to use in production environments. This is not a release. This is a pre-release. If you have an app published in AppCenter for Loki or would like to publish an app for Juno, this pre-release is for you! If you haven’t already, we highly recommend you read about Houston CI and enable this for your repo. Houston CI builds and tests your app against Juno and will let you know about issues even if you’re not running the Beta. We’ll have a follow-up post shortly detailing the major changes you should know about when updating your apps, but until then you can always join the Community Slack to get help with app development. For now, the most important changes to worry about are those to Gtk+ and Gtk.CSS in particular. If your app uses custom CSS, you’ll want to run it in the Beta to make sure it still looks as it should. If you’re a translator, Beta is a great time to let us know about any localization issues you’ve encountered. We’ve now officially entered a period of “string freeze,” which means that we won’t change any text in any of our apps from now until the final release of Juno. If you encounter out-of-date translation templates or strings that cannot be translated, please let us know by filing an issue against the correct repo. As a reminder to potential translators, we do moderate translation suggestions due to past instances of vandalism. If you’ve submitted translation suggestions for a language that doesn’t appear to have a moderator, please join our Translator’s Slack and reach out to Leonardo Lemos about this. 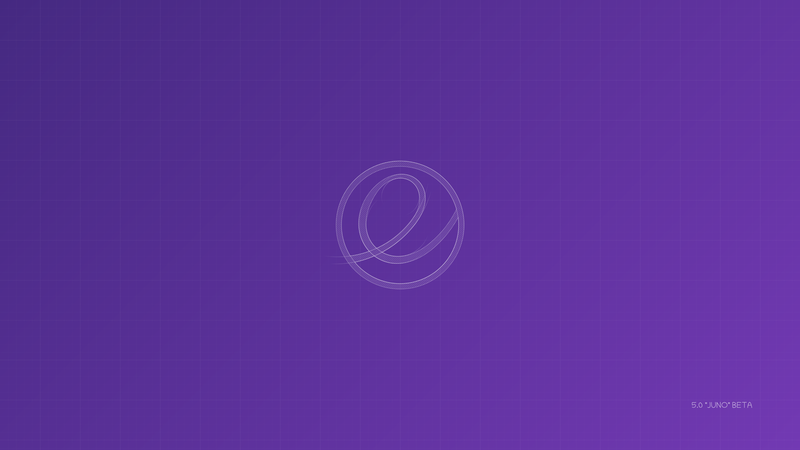 If you’re new to translating for elementary OS, be sure to check out our Translation Guide. Being that this is a pre-release of Beta quality, there are plenty of known regressions and major issues left to solve before the final release. Before reporting any issues, please be aware that we are already tracking several high profile ones. You can use the new, fancy “Report a Problem” dialog in System Settings → About to help you find the correct repo on GitHub to report against. Please search the issues list before reporting to make sure that the issue hasn’t already been reported. If the issue has been reported, please don’t make comments like “I have this issue too”. Instead, use the 👍 reaction. Please also avoid making comments like “Hurry up and fix this!” We’re a very small team with super limited resources, and we have tracked and prioritized issues as best we can. If an issue is super important to you and you want it fixed right away, consider placing a Bounty. I want to re-iterate that if you are not an app developer or a highly technical user that you should not download and run this pre-release image. It has known-regressions and bugs. It is potentially dangerous. It is not for production environments. And while we do our best to make the update process smooth, you will likely not have as good of an experience updating from Beta as installing the final release. If you are press or a reviewer, please do not “review” this pre-release. When you publicize buggy, unstable, or unfinished pre-release images it can damage our brand and hurt adoption and sales of the final production-ready release. We have also not detailed the full list of changes, both under-the-hood and visual, so any reviews at this point would be missing significant context. If you would like to be first to review, shoot us an email at press@elementary.io and we will contact you with a full embargoed press kit — including high resolution imagery and a full rundown of both technical and user-facing changes — before the final release. Inevitably, many many people will ignore all of the above and download this image anyways instead of downloading the final release. If you’re one of those people, please consider taking a trip to our funding page. We rely on the Pay-What-You-Want download system to pay people to work on elementary OS, to build AppCenter and Houston-CI, and to pay for the servers that host these downloads. All that being said, we’re extremely excited and proud to reach this milestone! elementary OS 5 is right around the corner. Let’s get that store filled back up, squash some bugs, localize all the things, and release an operating system!